The multinational Lantek, a pioneer in the digital transformation of the industrial metalworking sector, has reached a very positive conclusion regarding its participation in the Advanced Factories 2017; the first international, professional event dedicated to innovation, automation and Industry 4.0 which took place in Barcelona. The fair saw the participation of more than 200 exhibitors, 170 international speakers and the attendance of professionals from 25 countries. Lantek was one of the leading companies participating in the fair that it attended as an event partner where it took the opportunity to present Lantek Synergy, the solution which enables optimizing productive processes on a decisive scale. It provides efficiency for all processes performed by companies in the metalworking industry, facilitating the integration and coordination of manufacturing times and the machines (regardless of the manufacturer) and optimizing the raw material in each machine. In short, this is an intelligent system for taking decisions which enables digital transformation for the metal industry. Lantek has become one of the drivers in the transformation of the industrial sector and of Industry 4.0, where it has been working for several years. “At Lantek we know the path to efficiency and it’s the one that goes from the machine to the decision-making center” Juan José Colás, the company’s Sales Director, confirms. In this respect, the participants in the Industry 4.0 fair had the chance to discover not only the value proposal of Lantek Synergy and how it works, but were also able to share experiences, opinions and concerns with the experts at Lantek. “Ultimately, our objective is to send the message that Lantek “knows the way” that allows companies to move towards Industry 4.0 and become more competitive”. 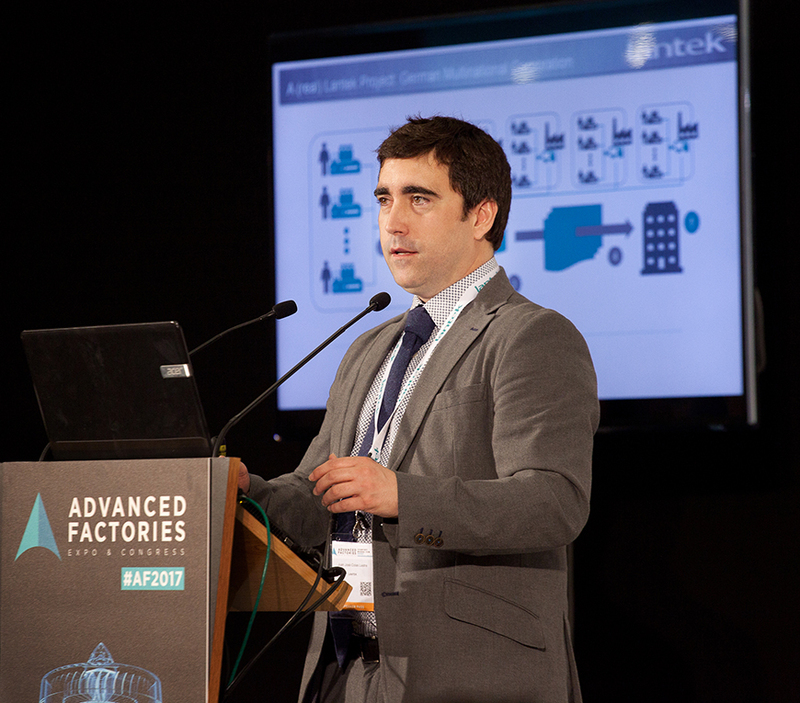 We know what the market wants, because we listen to our customers and that’s why, on this voyage towards the intelligent factory of the future, we offer them flexible solutions that are tailor-made to their specific needs”, explains the Director who, during the fair on 4 and 5 April, gave talks on “Reducing costs, maximizing profit” and “Digital transformation, an unstoppable reality”. During these talks, he explained how to promote and simplify the digital transition and transformation through the integration and real-time connection of machines, processes, plants, customers and suppliers in a streamlined and straightforward way to improve management and optimize costs, maximizing productivity and profit, in addition to also presenting Lantek’s innovation proposal. 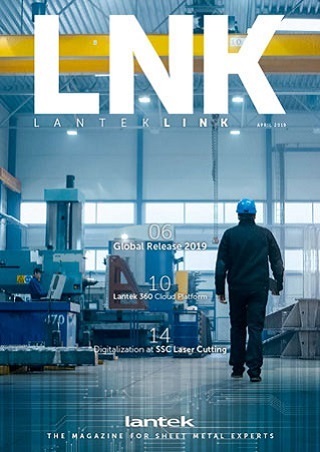 A pioneer in the digital transformation of companies in the sheet metal industry, Lantek offers Business Manufacturing Intelligence software solutions that allow the connection of plants by converting them into Smart Factories. The firm, founded in 1986 in the Basque Country and headquartered in Vitoria-Gasteiz (Álava), makes it possible to integrate cutting and punching technologies into the plant with the most demanding advanced manufacturing management software. Today, the company has more than 18,000 customers in more than 100 countries, and own offices in 15 countries, as well as an extensive network of distributors with presence worldwide.